The Union Awards evening is one of the most exciting nights of the year! It takes lots of work and commitment to run a successful society. 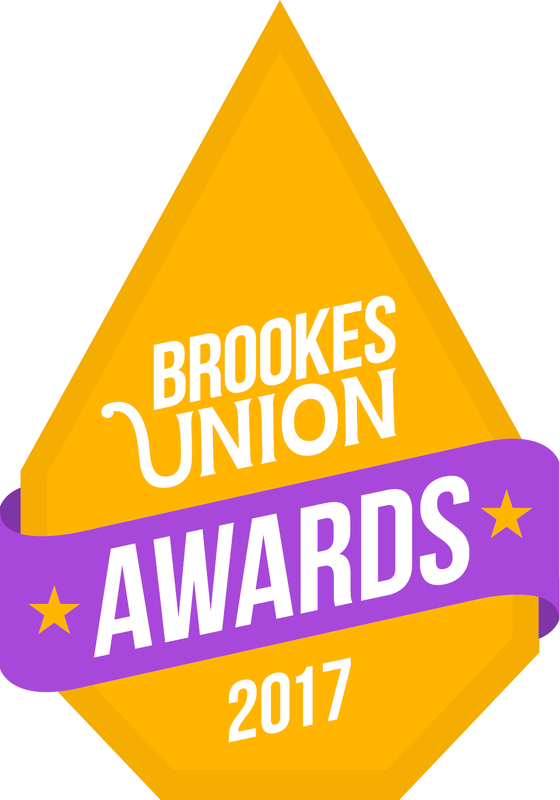 The Union Awards is our way of recognising all the effort societies put in across the year to support their members and provide them with opportunities they wouldn’t have otherwise. Thank you for improving the lives of students year on year. Which society stands head and shoulders above the rest? Who's had the best events, the most interesting speakers, the friendliest committee and the most fun? Who's organised the most interesting talk? Who's planned the best workshop? Which event made you think differently about your course? The nominated event must have been related to a course taught at Brookes. Lectures, seminars, trips and guest speakers are examples of eligible events. Who planned the most exciting trip? Who put on the best performance? Who held the most lavish winter ball? Trips, socials, balls and performances are examples of eligible events. Who runs the best classes? Who consistently attracts the best speakers? Which regular meet up do you look forward to most? Which new society has brought something truly different to the Students' Union this year? Which new committee has been the most organised and put on the best events?